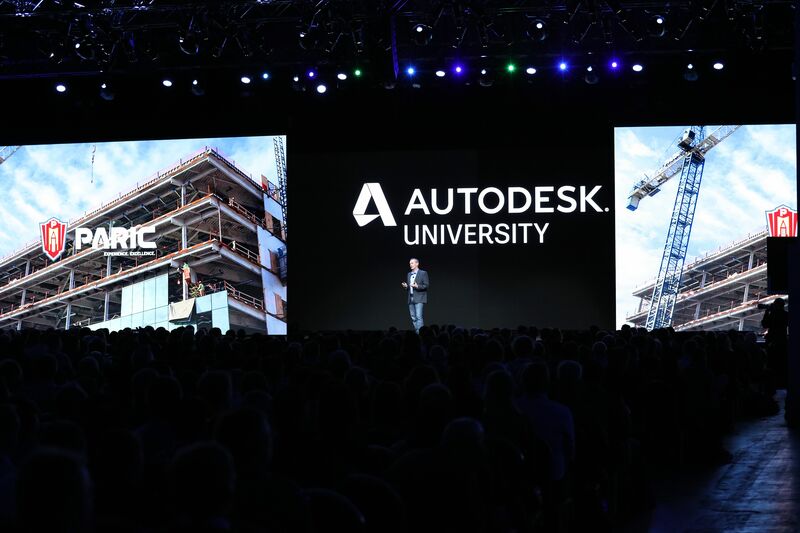 Taking the stage at the 2018 Autodesk University Conferences for the day two keynote presentation on “Architecture, Engineering, & Construction, Andy Leek was excited about the opportunity to present PARIC’s story of tech transformation. A transformation that was solely focused around taking a more aggressive approach to technology, that would position technology as a competitive advantage for the company. As Mr. Leek - the V.P. of Technology & Innovation for PARIC, described “This aggressive approach significantly changed how we provide solutions to our clients.” In the presentation Andy illustrated how PARIC is able to improve the way they plan, manage, and mitigate risk on their projects by using the latest in construction technology. He finished his presentation highlighting a soon to be released dashboard tool named Insight, which creates customized views for various types of users and leverages Autodesk’s Project IQ to provide predictive analytics.